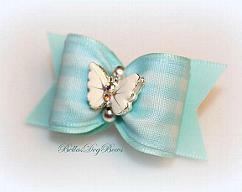 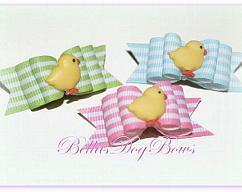 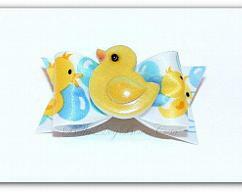 Aqua and White Check Dog Bow embellished with a 3-D Enamel Butterfly with AB Crystals. 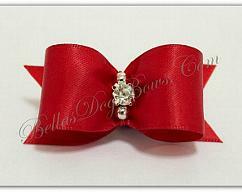 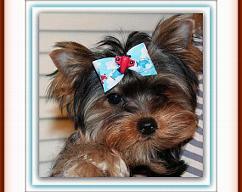 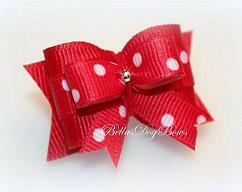 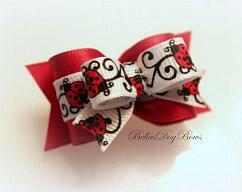 Yorkie Argyle Bow. 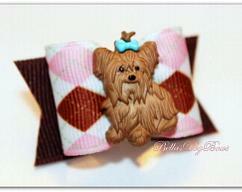 Pink, Brown & White Argyle Grosgrain Ribbon with Brown Flags. 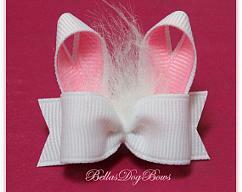 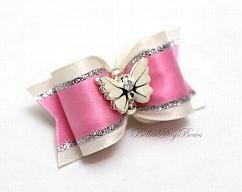 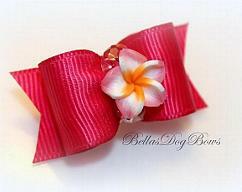 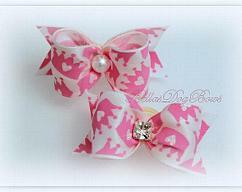 Casual Wear Bow - Silver Satin with Pink Satin Flags. 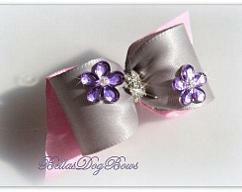 Purple Flowers Hand Sewn-on with Seed Beads. 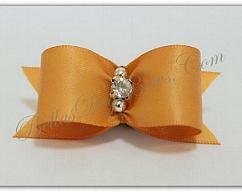 2 Swarovski Crystals Centered. 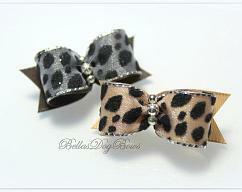 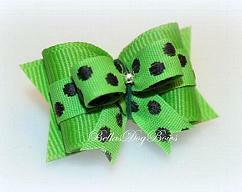 "Wild Thing Animal Print Bow". 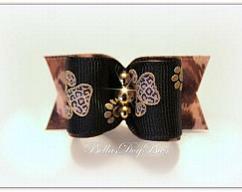 Black Grosgrain with Leopard Pawprints trimmed in Gold. 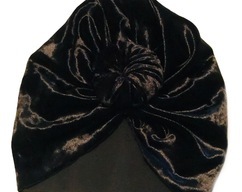 Lined in Leopard Print Satin with Matching Flags. 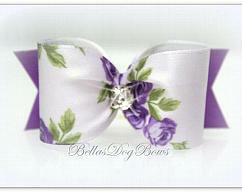 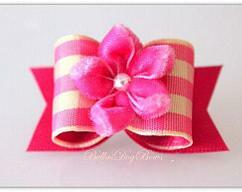 White Floral Grosgrain Bow with Matching Flags. 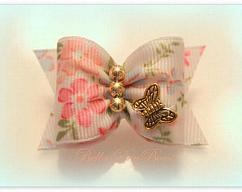 (Sewn-on Butterfly and Gold Beads) Adorned Beautifully. 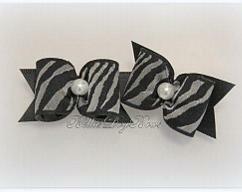 SET - Animal Print (Zebra) Dog Bows with Black Flags and White Pearl Centered 2pcs. 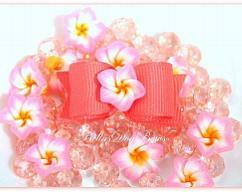 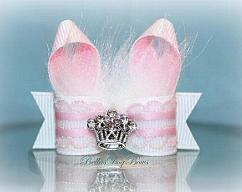 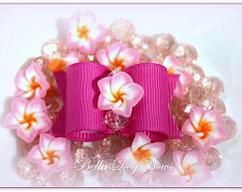 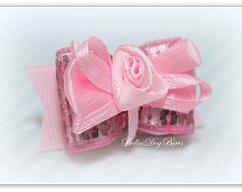 Crystal Tiara Pink Organza & Satin Bow with Pink Sparkle Grosgrain Flags. 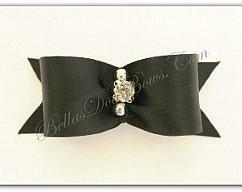 7/8" Black Satin Bow with Matching Flags / Silver Beads embrace Large Swarovski Crystal. 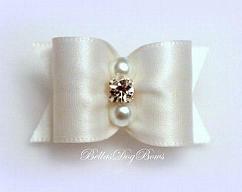 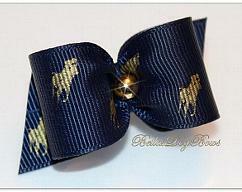 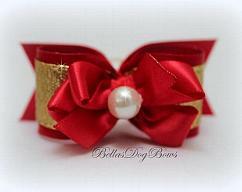 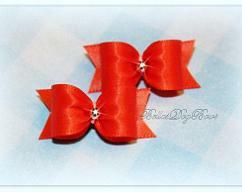 7/8" Gold Satin Bow with Matching Flags / Silver Beads embrace Large Swarovski Crystal. 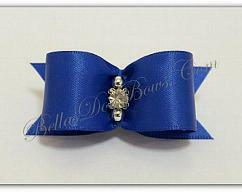 7/8" Royal Blue Satin Bow with Matching Flags / Silver Beads embrace Large Swarovski Crystal. 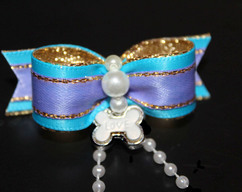 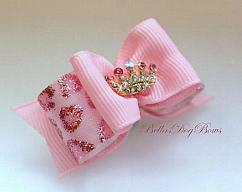 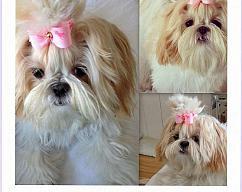 Sky High Airplane Bow for Dogs. 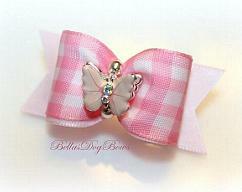 Embellished with a small hand sewn-on Airplane Bead. 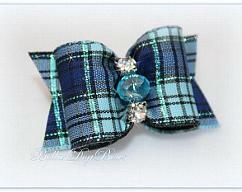 Plaid Bow in Shades of Blue with Aqua Metallic Threads. 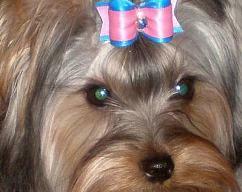 Blue Crystal Bead & 2 Swarovski Crystal centered.